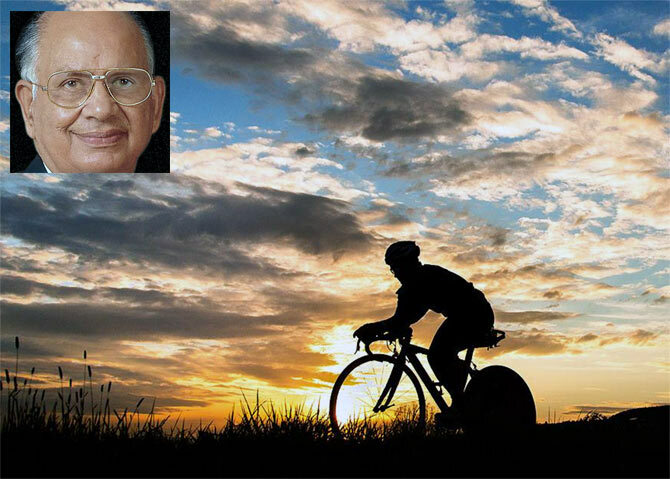 Munjal was the man behind the success of the world's largest cycle maker, and almost every second cycle sold in the country sported the Hero badge. 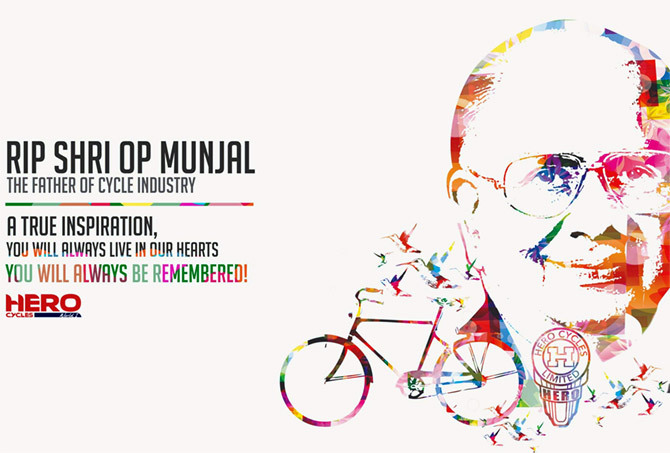 Whatever the situation, be it in his factory at Ludhiana or his home in south Delhi, Om Prakash Munjal of Hero Cycles had a couplet for every occasion. Easygoing and affable, he was the quintessential relationships man, and a product of the strong entrepreneurial spirit of Ludhiana. His substantial achievements in business, though often overshadowed by Hero MotoCorp, owned and run by older brother Brijmohan Lall Munjal, sat easy on his slight frame. Munjal was the uncrowned cycle king. At 7.5 million a year, he was the world's largest cycle maker, and almost every second cycle sold in the country sported the Hero badge. He also sold components to BMW for its bikes , and had plans to expand abroad. He, and his son Pankaj, would often talk of strategic overseas acquisitions to expand their cycle footprint. Munjal was always bubbling with ideas. 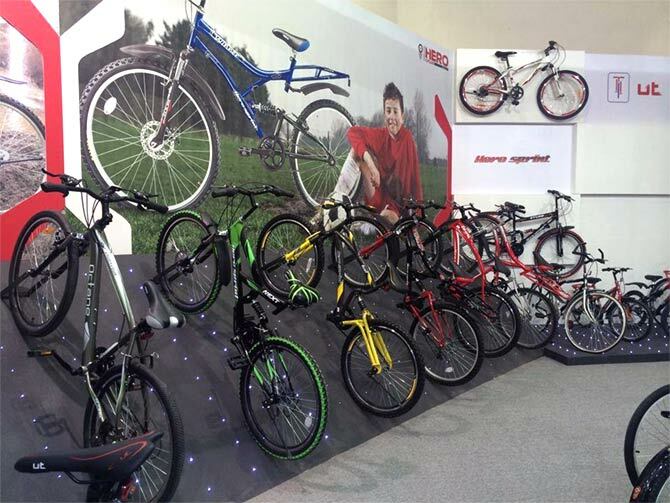 It is ironical that news of Hero Cycles' first overseas acquisition, UK-based Avocet Sports for an undisclosed sum, came the day Munjal died. He may have been humble, but he was always aware of his stature. 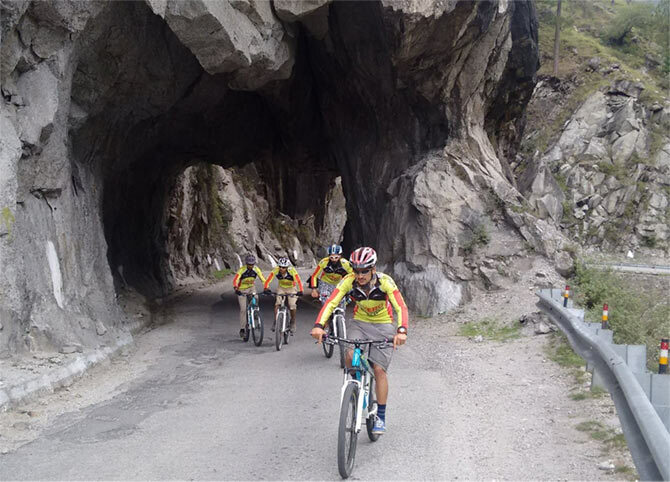 Fifteen years ago, sitting in his busy office at the Ludhiana factory of Hero Cycles, Munjal had told me, with unmistakable pride and gleam in his eyes, how a factory in China had recently not let him in: the factory's owners felt they shouldn't expose themselves to this formidable rival. And he was fabulously rich. Pankaj once gave me insights into the worth of Hero Cycles. On every cycle, the company made a profit of Rs 400. 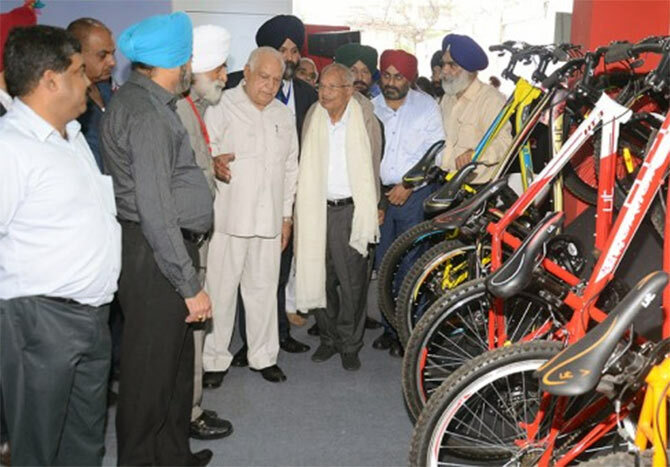 Over 5.6 million cycles it made then, that worked out to annual profit of Rs 224 crore (Rs 2.24 billion). With the components business and other income, the final figure added up to Rs 400 crore (Rs 4 billion). With a price-earnings multiple of 20 (not unreasonable for an undisputed market leader), the company's valuation came to Rs 8,000 crore (Rs 80 billion). As Hero Cycles was closely held by Munjal, this was his net worth - good enough for him to walk into any list of billionaires. Munjal dabbled in two-wheelers also, first in 1988 with the Hero Puch rage of mini-motorcycles and then in the 1990s with BMW superbikes. While fuel efficient bikes, including those made by Hero MotoCorp (then called Hero Honda), clobbered Hero Puch, regulatory hassles ruined the BMW gamble. The Foreign Investment Promotion Board had ruled that Hero Motors would have to offset the foreign exchange spent on the import of the BMW superbikes with equivalent exports, and Hero Motors found it difficult to do those exports. The BMW superbikes were perhaps ahead of their time. Sales were abysmal and the partnership was called off. But the relationship survived, as evidenced in Hero Motors' deal to supply components to BMW more than a decade later. If Munjal was bitter about the motorcycle misadventures, he never showed it. He remained close to his old brother till the end. A few years ago, they sorted out their crossholdings - amicably. "It couldn't have been more amicable," Pankaj had told me at that time. "Somebody would say you take so much. The other person would fold his hand and say 'I don't deserve so much'. That's how it was done." The Munjals were together for all practical purposes even after the split. Each could pick people freely from the other's companies. The same team at JWT handled the Hero Motocorp and Hero Cycles accounts. Their advertising budgets were clubbed together to get the best rates from the media. And a lot of the dealers of the two were the same. Will Nexa showrooms boost premium car sales for Maruti?